This fabulous recipe for Pineapple Walnut Quick Bread is a combination of several from old cookbooks I have had for years. I altered the ingredients and changed the proportions to give the bread a better texture. It's delicious! The flavor and texture of this loaf is really wonderful. The pineapple adds a tart sweetness, and the walnuts add fabulous crunch. It's perfect on its own, or toasted and spread with some butter and some whipped honey or jam. 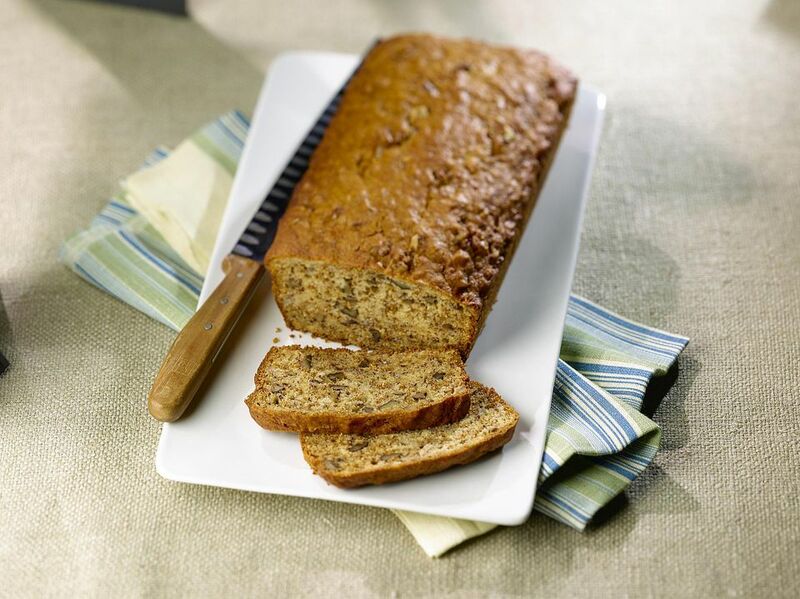 There's nothing like making a quick bread to make your breakfast decisions for the next few days for you. All you have to do is leave this bread on the counter, in a plastic baggie or a sealed tin, and have milk and orange juice in the fridge. Your kids can get breakfast for themselves! Preheat the oven to 350°F. Spray two 9" x 5" glass loaf pans with nonstick baking spray containing flour and set aside. In a large bowl, beat the softened butter with 1 cup granulated sugar and the brown sugar until well blended and fluffy. Add the eggs, one at a time, beating well after each addition. Add the flour, baking powder, soda, buttermilk, and vanilla and beat until combined. Stir in the walnuts and the thoroughly drained pineapple. Mix the batter just until combined; don't over beat. Bake the loaves at 350°F for 55 to 65 minutes or until the loaves are well browned, the bread starts to pull away from the pan edges, and a toothpick inserted in the center comes out clean. Put the loaves on a wire rack while you make the glaze. In a small bowl, combine 1/2 cup sugar with 3 tablespoons of the reserved pineapple juice and mix well. Drizzle this mixture over the hot quick breads. Let the bread stand for 10 minutes in the pans, then run a knife around the sides of the bread to make sure the bread is loose from the pan. Carefully remove the loaves from the pans, place them carefully on wire racks, and let the bread stand until cool. Store the bread tightly covered at room temperature up to three days, if it lasts that long!